I consider myself a seasoned IT professional with a knack for problem solving and IT Solutions Planning and Implementation. I hold an M.Sc in Computing and Information Systems from the University of Greenwich, London. I have also had well over 15 years experience in the field with 6 years spent working for organizations in London UK such as the British Sky Broadcasting Group and the Royal Bank of Scotland Group. I have worked with ICT companies in Nigeria as well and have gathered a wealth of experience and skill. I strive for excellence in every single position that I handle and above all, I try to learn something new. 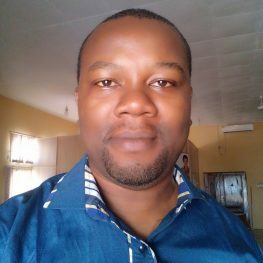 I am currently a Principal Programme Analyst working with the College ICT Unit at Alvan Ikoku Federal College of Education, Owerri. My interests are in Crypto-Currency trading, Blockchain Technology and Arsenal Football Club.